Everybody say hello to Arti Goyate a.k.a Mum. I’ve decided, as a small dedication to her, and a bigger tribute to her cooking, to start a series called Arti’s Tiffinbox. Because I love my mum’s cooking. No exaggeration. And there’s no other way to put it. Every time I eat a meal cooked by her, I feel my soul warm up. It might be a to do with having lived away while studying. It might be something about just having an adult appreciation for things I took for granted as a kid. What I know for sure is it’s a legacy I hope I can carry forth into my jumbled world of Anglo-Indian linguistic confusion and other cultural meltingpotesque manifestations. My mum’s cooking is a culmination of her mixed and unique experiences. She wasn’t taught it by her mother. She picked it up living the life of an unwitting renegade. Her food is her memories, her lessons, her experimentation and curiosity that compelled her to inch towards to the edge to see what’s on the other side. It’s her creative use of limited resources, her way of coping with unfamiliar territories and hostility. It’s oh so soulful. And every bite always makes me feel so damned good. So, I’ll be carefully extracting these recipes from grains of her being to bring them to you. 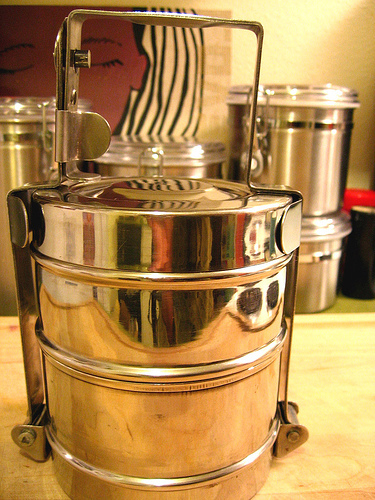 Tiffin is a word for lunch. It’s normally a kind of lunch that’s packed into a sectioned carrier, so the foods don’t get mixed. It makes me think of a good wholesome meal on the go. And it’s a food-related word that works well for the title. Sometimes, I won’t know the English names of ingredients. It’s not cos I’m ignorant. It’s just how it is. And for some things there just aren’t English names. Like doodhi! I’ll try to define anything I think needs extra explanation. Mum’s a vegetarian. That means strictly vegetarian recipes. It also means lots and lots of veggie choices. I don’t claim any recipes to be ‘authentic’ Indian recipes. My mum’s Gujarati, but there are influences from all over India and the world in her food. They’re authentic in that they’re my mum’s. These dishes are the result of over thirty-odd years of discovery, experimentation, refinement and fine-tuning. So don’t be too distressed if yours doesn’t have the magic. It’ll get there with time and dedication. The actual task of sitting my mum down and getting her to tell me these recipes is near enough impossible. In fact, this is the first time I’ve EVER succeeded. (And I’m not gonna lie, it was a little bit painful.) What you’re witnessing, my friends, is history in the making. So you’d better appreciate it! I’ll be starting with a simple and easy daal (lentil) recipe. I had it for dinner tonight with some rice. It was so freakin’ good. It’s what inspired me to start this whole series in the first place. See you on the other side then. 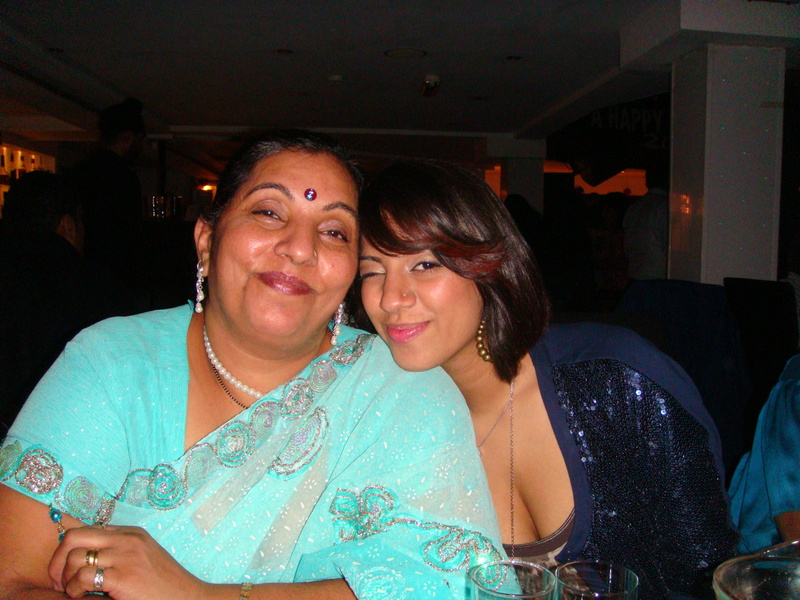 Hi Roshni, love your idea as I’ve had the great fortune to have tasted your mothers fabulous cooking in the past. Strangely, I’ve recently been thinking how I’d love a good recipe for daal. Looking forward to some delicious Goyate recipes. Thanks Gavin! I promise I’ll have the recipe up soon.